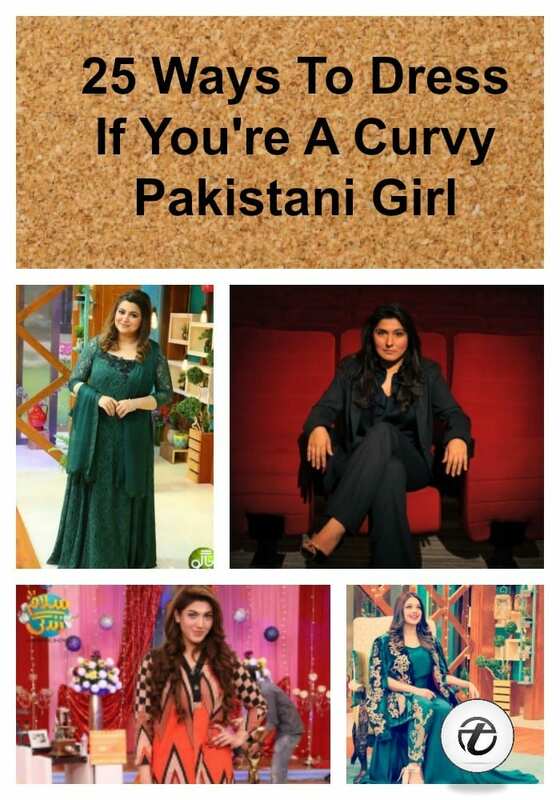 Curvy Pakistani Girls Fashion – Being a plus size, it get a bit difficult to style yourself up for various occasions. There is always the difficulty of finding the proper size. So the choice for ready made garments become very limited and you are forced to bear the visits to tailors in order to have the right sized clothed stitched. However, there is nothing that you cannot experiment with. For plus size Pakistani girls there is a lot of room to try out different styles if you are going to have suits stitched for you exclusively. There is no shortage of tailors and fabric is available in a wide variety. Many Pakistani women, even if not plus size would prefer to buy fabric and get the clothes stitched and have custom made. Here are some really cool ideas about how you can style different traditional and not traditional Pakistani clothes for plus size women for various occasions like weddings, festivals, parties or even casual wear. In the extremely hot weather of Pakistan, jeans us usually not the commonly used bottoms as they are in most parts of the world. Although you can war them in winter and autumn but in summers usually women would prefer trousers or bottoms made from thin materials like lawn or cotton. Denim can be worn when you are going out or on semi formal occasions. Have a look at these beautiful Outfits with Boot Cut Jeans.Outfits with Boot Cut Jeans. Formals will definitely comprise of an eastern attire. Long shirts with heavy embroidery or short ones with sequins and pearls, formal outfits are beautiful with lots of different colors, designs, styles and patterns. ↓22 – How To Style On Eid For Plus Size Pakistani Girls? Eid is the most festive occasion in the Muslim lunar calendar. It is the time for immense joy and celebration in Pakistan and women make very beautiful colorful clothes for the occasion. The Eid clothes are traditional eastern wear and will comprise of three piece including shirt, trousers and dupatta. According to the fashion the design of the shirt and trouser will be different every year. Bright colors like red, yellow, orange and blue are favorites for eid clothing but women also like to go away from the traditional look and wear darker colors like black or brown for eid. Check out these 15 Ways to Accessorize Eid Dress with Jewellery. ↓21 – How To Style For Pakistani Weddings? On weddings women usually like to wear heavy traditional clothing. Vibrant colors will dominate the wedding attire for women. For plus size women it is easy to style wedding outfits. They can wear the loose flowing wedding wear like long frocks with choridars, lehnga or gharas or maxi dresses. Golden and silver are favorites for wedding season in clothing and shoes as well as accessories. Red is the color of festivity and goes with all occasions. Don’t miss out these Top 8 Short Height Plus Size Models Breaking the Stereotypes. Lawn is the most favorite fabric of Pakistani women. It is the country with long Summers and lawn is the fabric that is best for summer wear. Each year there is a rush to buy newest designs in the lawn fabric and this is one trend that is not going to fade away for next many years. Here’s How to Wear Saree for Plus Size. If you are plus size you can wear many different kinds of hairstyles. You must have at least shoulder length hair. Chubby cheeks will look fatter if your hair is very short. Have long hair to cover the sides of your face with tresses. For the best style inspiration, check out these Top 10 Pakistani Fashion Bloggers Every Girl Should Follow. When you are going to a birthday party you can wear a mix of western and eastern wear. Jeans with kurti or baggy shirts will look nice. ↓11 – What To Wear For Friends Meet Up? When you are meeting up with a bunch of your besties, you want to look hip and good because you know that there will be a lot of selfies snapped. Wear something that will make you feel comfortable and cool. You do not want to wear stuff that is tight or skinny because it will make you look fat. Go for loose comfortable clothing that is nice and also fashionable but above all makes you feel at ease so you can enjoy quality time with your friends. Here are 15 Stylish Pakistani Mehndi Dresses Collection this Season. 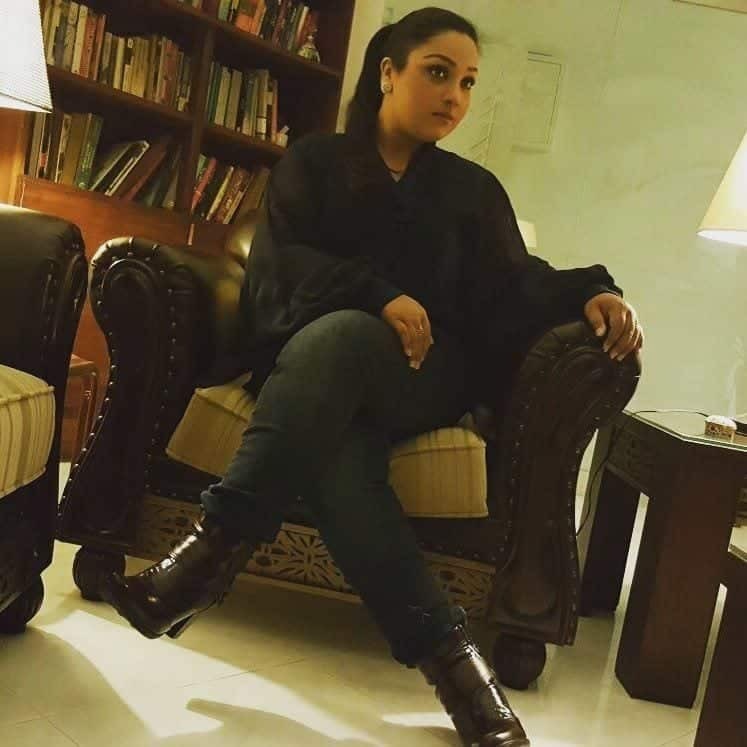 Here we see the award winning and Internationally acclaimed director Sharmeed Obaid wearing two different formal outfits. In one picture we see her in a black gown and in the other, she wears a white short shirt. You can see how a curvy woman like her can rock both these looks just by using the right styling techniques. A variety of colors is the highlight of Pakistani outfits. When you are wearing the classic three piece suit you can have so many different types of color combinations. You can have bright colors as well as light colors. You can also have beautiful vibrant prints and use the colour blocking technique when choosing your dupatta. Embroidery is always in, in Pakistani clothes. Sometimes you see heavily embroidered shirts and sometimes embroidered bottoms and sometimes it is the combination. These days embroidered net is in fashion and you see long flowing dresses with heavy embroidery. They can be seen on models, hosts and housewives alike. Beautiful and intricately patterned Embroidered net three piece suits are hot favorite among ladies of every size for all formal occasions. For curvy Pakistani women, fully embroidered shirts are not acceptable as they give a very heavy look. Instead, they should opt for simple embroidered patterns as seen on Nadia Khan here. Another good option is to choose shirts with embroideries at the bottom or the daaman, as these make one appear more proportionate. You all look great in your outfits. Pakistani Clothes online USA from where you can get the new design of Pakistani dresses so check this out https://www.stringnthread.com/.